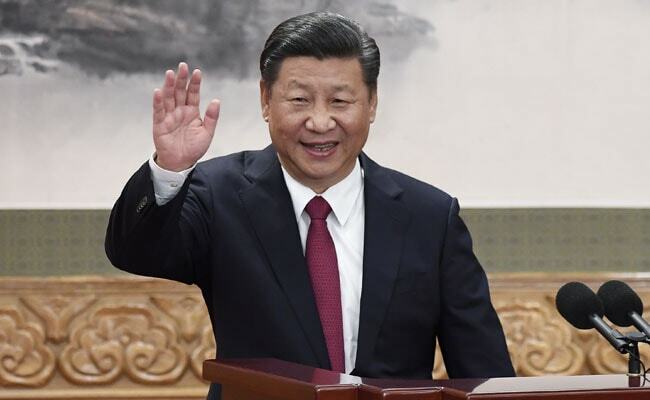 Beijing: China today defended its move to remove the two-term limit for President Xi Jinping, asserting that it was important to uphold the authority of the ruling Communist Party and unity of the state leadership. The Communist Party of China's (CPC) Central Committee has proposed to remove the two-term limit for the post of president and vice president through a constitutional amendment. The proposal has sparked off concern and speculation at home and abroad that the 64-year-old Xi, who heads the CPC and military besides the presidency and recently began his second five-year term, would continue for an unprecedented third term and beyond, wielding unquestionable power exercised by the party founder Mao Zedong in the heyday of China's revolution. Explaining for the first time why the CPC opted for such a move, spokesman of the National People's Congress Zhang Yesui told reporters in Beijing that the president had the term-limit while there was no term limits for head of the party and the military. "Well, according to the constitution of the CPC there is no such provision that there shall be no more than two successive terms for the General Secretary or Chairman of the Central Military Commission (CMC) in the Constitution of the China," Zhang said. "So for the constitution, it follows the same practice regarding the term of the president. It is conducive to uphold the authority of the Central Committee of the party with Xi Jinping at the core and also unified leadership. It is also conducive to the unified state leadership system," he said. The NPC, which has 2,980 deputies, is expected to ratify the constitutional amendments removing the term limit which would enable Xi to continue to head China possibly for life. It is customary that the spokesman of the NPC, often regarded as the rubber stamp parliament, addresses a nationally televised press conference answering select questions from the local and foreign media. Zhang said the constitution, which reflects the common will of the CPC and Chinese people, is China's fundamental law and the general chapter for governing the country well and ensuring national security. The current constitution has been proven a good law that fits in China's reality and meets the demand of the times, Zhang said. It is necessary to appropriately amend the constitution to incorporate major theoretical, practical and institutional achievements made by the party and the people in order to give better play to the constitution's critical role in upholding and developing socialism with Chinese characteristics in a new era, he said. Amending the constitution is a big event in the country's political life and a major legislative activity with wide ranging implications, he said. Upholding the party's leadership and reflecting the will of the people should be the principles for amending the constitution, he said.